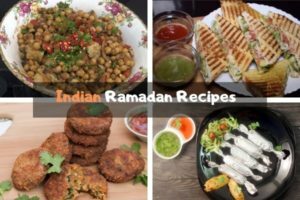 Looking for some Ramadan Recipes Indian? Yeah! You are at the right place. 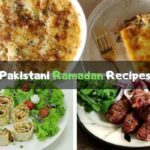 We have prepared recipes for Indian and Middle Eastern countries which can be cooked easily at home. 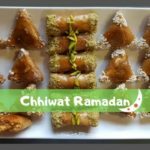 These dishes are an amazing choice for iftar gatherings. 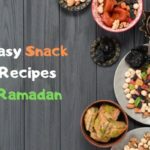 Try to use a healthy diet in your suhoor and iftar meals, drink enough amount of water and juices after breaking and keeping fast to refresh your body. These Ramadan Recipes Indian are healthy and delicious for your dinner. 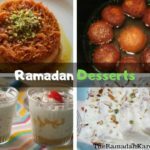 We have listed the top 10 dishes for Ramadan which is mostly made and cooked in India and asia. Most people in India are vegetarians and prefer to include vegetables in their diet. 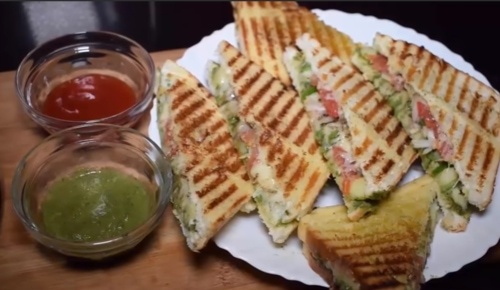 This Veg Toast Sandwich is popular street food. We are sharing the recipe of this sandwich so you can make it easily at home as an iftar item. Slices of bread – 8 to 10. Cucumber – 1 small, Peel off and slice finely. Potatoes – 1 or 2 boiled peel off and slice finely. Black Salt – to taste. Blend all the ingredients of green chutney in a blender. Add a little amount of water to make a thick paste like chutney. Take out chutney in a bowl. Cut the bread corners if you want. After put butter on slices. Now take 4 bread slices and place all vegetable’s slices on them as you need. Use a hand toaster you can cook one sandwich at a time. Heat up the toaster and toast one side until it changed its color to light brown. When both sides got brown, take out the sandwich. Your sandwich is ready. Serve with the spicy green chutney. Chana chat is quite popular in India and Pakistan. 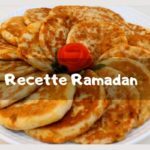 It’s the easiest dish that you can include in the Ramadan menu because the taste of this dish s never disliked. It’s also one of the common street foods of Pakistan and India. 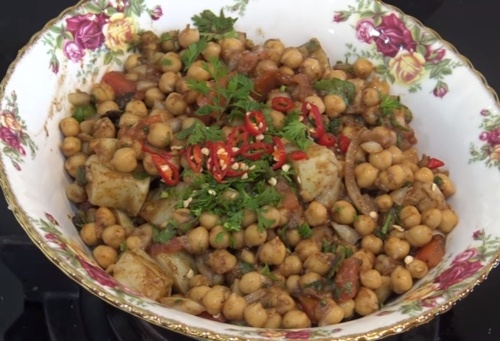 We are mentioning the recipe of this quick food for you! Try out and soothe your taste buds with the nutrition pack of chickpeas and the spices. Onion and tomatoes – One cup sliced finely. Take them out in a large bowl. Now add the chopped onion, chilies and tomatoes in a bowl. Sprinkle the spices and toss. Add the black pepper and mix or toss. Now tale the coriander leaves and do garnishing. The yummy chat is ready to serve. This chaat is eaten fresh. People love to include mutton in their dishes. If mutton is added to vegetables you are going to cook, the taste of your dish will be surprisingly changed. So, let’s include a mutton dish in our Ramadan menu. 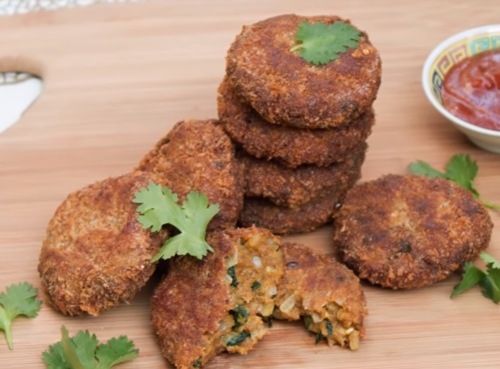 These mutton cutlets are superb to prepare in an iftar party. If you want to amaze people with your cooking skills and taste then pick these Mutton cutlets from our Ramadan Recipes Indian. 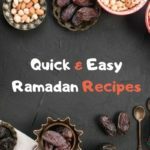 We are sure that the unique taste of this recipe will make it favorite dish after trying it. Take a pan and add 1 tbsp. of cooking oil. Add onions and some salt and fry till the onion get soft. Now ginger and garlic paste in onions and fry for 1 minute. Sprinkle all the spices and sauté for one minute. Include the minced mutton and cook for 5 minutes. Next, include the mashed potatoes and cook for a while. Add salt according to your taste and mix the mixture well. Take the egg in a small bowl and add a pinch of salt in it. Dip each of the patties into the egg mixture and apply bread crumbs. Take oil in a frying pan and heat up for a while. When the oil becomes hot, add the patties in it carefully. Fry until the patties turn golden brown. Take out and serve with chutney or ketchup. The tradition Badam Milk recipe is shared with you. After a daylong fast, if you drink the Badam Milk it will nourish your body in an amazing way. This Badam milk is a great choice for iftar juice as it is healthy, creamy and delicious. Sugar or any other sweetener – 2tsp. It will help you to peel off their skin easily. Crush saffron by using your fingers. Take out a ¼ cup of milk for blending almonds. Take a pan and boil the rest of the milk in it. Add saffron, elaichi powder, and sugar in while boiling the milk. Now take the almonds and blend them with ¼ cup of milk that you have separated in step 4. Add this blend of badam and milk into boiling milk and shake well with a spoon. Put in refrigerator for 45 minutes to make it cool. Serve the Badam milk as Iftar drink.